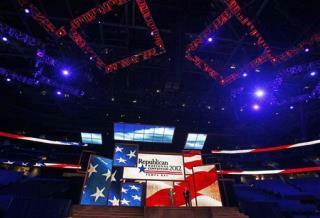 (Newser) – Anarchists could turn violent at the Republican and Democratic conventions, the FBI and Department of Homeland Security say in a bulletin obtained by CNN. Such advisories are routine before big events, though this one is drawing attention because of its suggestion that hard-core protesters might use improvised explosive devices. Referring to next week's GOP forum, the report warns of "potentially destructive criminal activities against critical infrastructure outside the security perimeter throughout the Tampa Bay region." If they have such specific threats, move in now and arrest the suspects and quit with the fear mongering.